We’re right in the middle of Summer here in Arizona, and staying cool is a top priority. We’ve definitely been eating our fair share of ice cream and fro-yo, so I wanted to make some cool treats that were a little healthier. First up is a 2 Ingredient Coconut Mango Popsicle, these we’re a hit! Even the baby enjoyed it. I love recipes that only require a few ingredients, and this one only has 2. 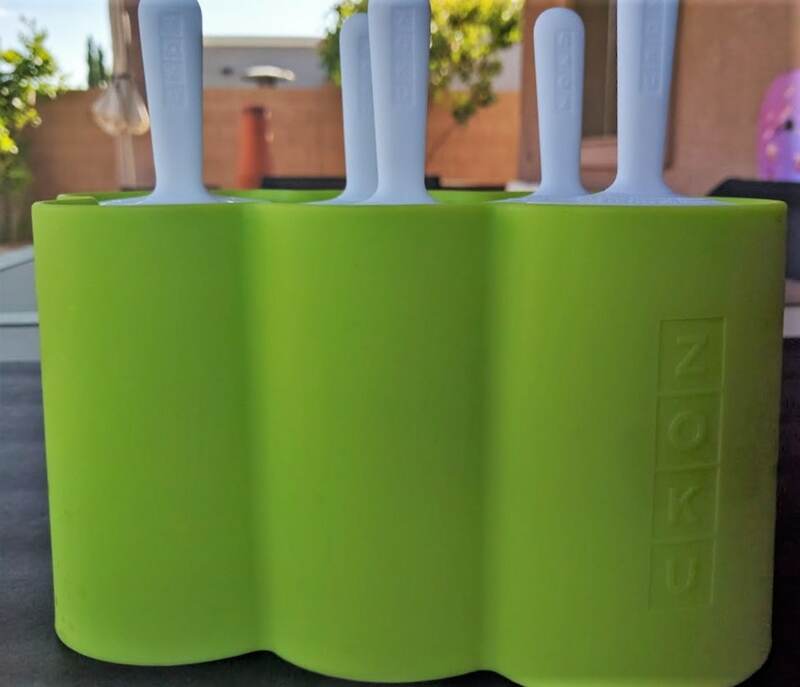 I used my Zoku Pop Mold, which I love, because its spill proof and you can place it in the freezer without worrying about the pops falling over. I also like that the sticks are reusable so I don’t have to worry about buying popsicle sticks. 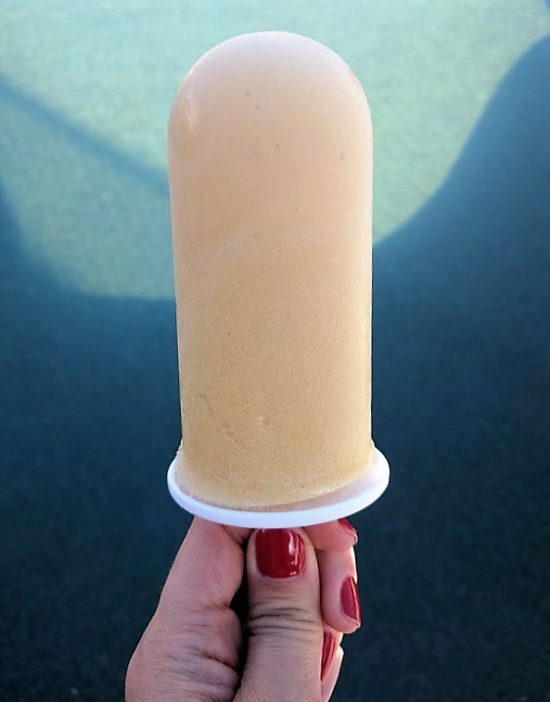 To make the popsicle add 2 cups of sweetened coconut milk beverage and 1 cup of fresh mango or frozen chunks to a blender. I used fresh and my mango was pretty ripe, so I didn’t need any extra sweetness. If your mango isn’t as ripe and you want extra sweetness, some honey will add some natural sweetness. Blend well and pour into pop molds, place in freezer until frozen. Remove a pop from the freezer and run under water for a bit to remove it from the mold. Best if enjoyed in the pool! Place Coconut milk and mango into blender and pour mixture into mold. 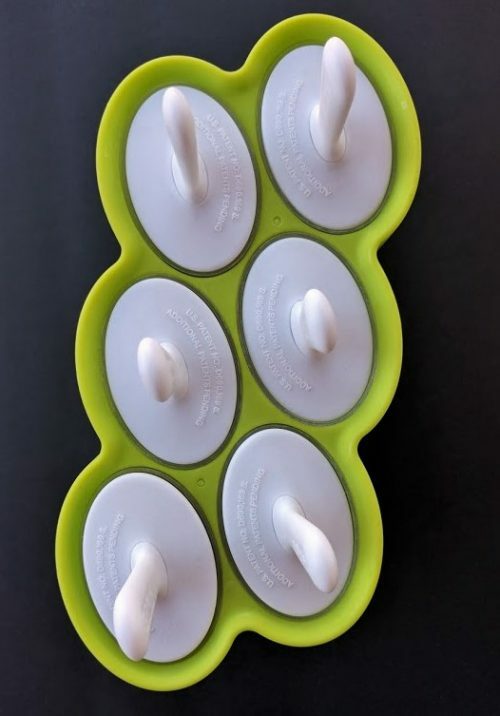 Place in freezer until frozen. Remove pop from mold and run under water to loosen.